« Small Business Advocate Poll: How much do you rely on a smartphone?
. Tags: Barbara Weltman, consultant, employee, employee classification, independent contractor, IRS, taxes. If necessity is the mother of invention, a pink slip is the nagging parent of a great deal of entrepreneurialism. And even though there are many different paths to small business ownership, millions have been thrust into this independent state as a result of some form of cessation of employment. The good news is many of those who find themselves unemployed decide to fend for themselves by starting a small business. The bad news is, some of them don’t know that. “How could that happen?” you ask. Well, it’s because they hired themselves out as an independent contractor, possibly to their last employer. Not to take anything away from all these entrepreneurial accomplishments, but for many who have been fired, sacked, canned, downsized, right-sized and consolidated, in the current state of our economy there often are only three choices: Either stay unemployed and ultimately become homeless; be underemployed; or start working for themselves. Having been one of the sacked back in the late ’80s, I decided that I didn’t need any help messing up my life, so I headed out on my own and started my own small business — a business consulting company. And even though I considered myself a business owner, technically speaking, until my company was incorporated, I was an independent contractor. 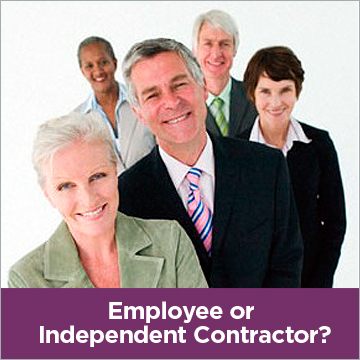 So does anyone care whether you’re an employee, a business owner, or an independent contractor? Oh, yeah! You bet your sweet assets someone cares. The IRS cares - a lot!! Every year there are millions of new reported contract relationships for the IRS to keep track of, plus millions of new unreported relationships to track down. Because there is often confusion about this issue, a whole new body of tax compliance by the IRS has been developed which includes a list of 20 ways to identify an employer/employee relationship. Sounds like a Paul Simon song, doesn’t it: “There must be 20 ways to find your employee!” Sorry. If you’re selling your time and advice as a consultant, you may think of yourself as a contractor or a business owner, but you may actually be an employee, by the definition of the IRS. Do you know who is responsible for paying and remitting the payroll taxes on your income? Is that being done? If your business is using the services of people you consider to be independent contractors, will the IRS agree with you? Do you know how many clients your “consultants” have? If you are their only — or most significant — client, and they are not reporting and remitting their payroll taxes, you may be in the queue for a visit from the IRS. Here are those guidelines the IRS uses to determine if the relationship in question is employment or contract. Please note that paraphrasing is used for brevity, and to illustrate the concept. 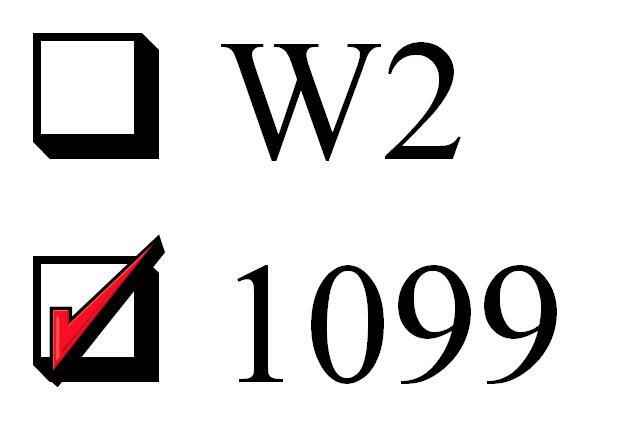 You and/or your financial/tax/payroll staff and advisors should use the actual IRS ruling and language. 1. Instructions: If a worker must comply with when, where, and how to conduct the work, that is usually an employee. 2. Training: If the worker has to be trained by the company, that is usually seen as an employment relationship. 3. Integration: If the worker’s activity is integrated into the operation, this demonstrates direction and control, and is usually seen as employment rather than contract. 4. Services rendered personally: If the services must be personally rendered by the worker, then this is usually seen as an employment relationship. 5. Hiring, supervising, and paying assistants: If the hiring company or person also hires, fires, and pays assistants, that activity is seen as control by the hirer, and is usually seen as an employment relationship. 6. Continuing relationship: The continuity of the relationship between the hiring company or individual and the provider of services may indicate an employment relationship, rather than a contract relationship. 7. Set hours of work: This indicates an act of control. Control is typically seen as a function of an employer. 8. Full time required: When a worker must devote substantial full time to the business of the company or person receiving the services, this indicates an employment relationship. 9. Order or sequence set: Again, an issue of control over how work is performed. If the receiver of services sets the order or sequence, they are typically going to be seen as an employer of the service provider. 10. Oral or written reports: Requirement of reporting indicates employment control. 11. Payment by hour, week, month: How a worker is paid can indicate the nature of the relationship, whether employment or contract. 12. Work done on premises: Employees usually do all work on the premises of the receiver of services. This may be a tricky one in the case of teleworkers. 13. Payment of expenses: Employers usually pay the expenses of employees, while contractors typically pay their own, but may be reimbursed at the end of the assignment. 14. Tools and material: Employers typically provide tools and materials to employees, while contractors usually provide their own. 15. Significant investment: Employees typically do not invest in the facilities they work in. 16. Realization of profit or loss: A worker who has the potential to profit or lose from the delivery of a service is typically not seen as an employee. 17. Working for more than one firm: A worker who delivers significant services to more than one unrelated firm or person in the same period is typically not seen as an employee. 18. Right to discharge: The ability to fire a worker is seen as an employment relationship. 19. Making services available to general public: Availability of services to the general public is seen in independent contractors. 20. Right to terminate: The right to quit is seen as that of an employee. Not that the IRS isn’t motivated to collect all taxes, but they are especially vigilant about collecting payroll taxes. When the IRS determines that a “consultant” is actually an employee, a surprise tax bill will be coming soon. And if that isn’t bad enough, there are also those two abiding companions of most delinquent tax bills: interest and penalties. I’ve talked quite a bit with Barbara Weltman, small business tax attorney, radio host and author of many books, including her latest, J.K. Lasser’s Small Business Taxes 2012. To listen to or download our latest conversation, click here.